Is 2017 the year that you achieve your goals? 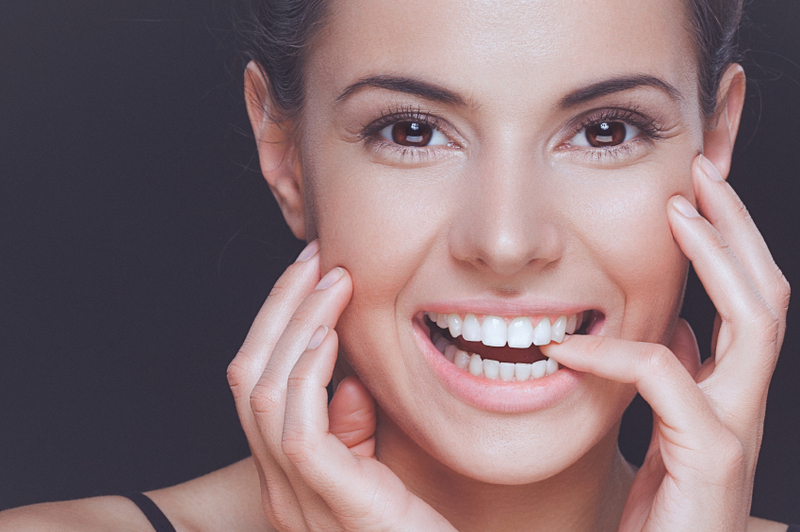 Beautiful and healthy teeth can give you the confidence to reach the next level in your personal and professional relationships, and Dr. Joe Isaacson is the dentist to deliver that dream smile to you. Cosmetic dentistry offers many options for enhancing your teeth, and here’s more information on how you can rejuvenate your smile with your Oklahoma City cosmetic dentist. Have you ever been told you have a “gummy” smile? Or perhaps you feel like your teeth appear short or stubby? Did you know that your beautiful dream smile is just waiting to be revealed? Through a process called gum recontouring, Dr. Isaacson uses artistry and a state-of-the-art dental laser to remove excess gum tissue and deliver the teeth you never knew you had! The process is quick, comfortable, and can often be completed in one appointment. Maybe your smile just needs a boost. You’d be surprised the impact that whitening your teeth can make. Depending on your goals, we offer two convenient options for whitening. Our in-office ZOOM! whitening system can deliver a smile that is 8-10 shades lighter in one short procedure. We also offer take-home whitening systems that gives you the freedom to whiten based on your own schedule. We’ll take impressions of your teeth and create customized trays designed to protect your soft tissue from excess whitening gel. Once we show you how to safely apply the gel, you’ll be off to a whiter, brighter smile that you can update at home anytime you like. Lumineers can deliver that Hollywood smile you’ve always dreamed of! Crooked teeth are embarrassing! Patients who live with a misaligned smile understand the toll it takes on your confidence. If you could straighten your teeth without anyone noticing, would you do it? Of course you would! Invisalign helps you do that with clear plastic aligners that are virtually invisible. Aligners are worn 20-22 hours per day and changed twice per week. They can be easily removed so you don’t have restrictions to your diet or changes to your home care routine as you would with traditional braces. If you’re ready to enhance your smile, contact our office today to learn more about the possibilities your Oklahoma City cosmetic dentist has to offer.